How many of you have actually read from cover to cover the instruction book that comes with the machine? But beyond that, how many have tried to do all the things they explain within the book? A sewing machine does more than sew a straight line. Put aside some time and play with it—try new ideas, do something out of the ordinary. For example: zigzag oer two or three strands of embroidery thread and use as a finish on cuffs. With a straight stitch sew over yarn and embroider by machine. Draw your picture and fill in the holes y sewing yarn around and around. 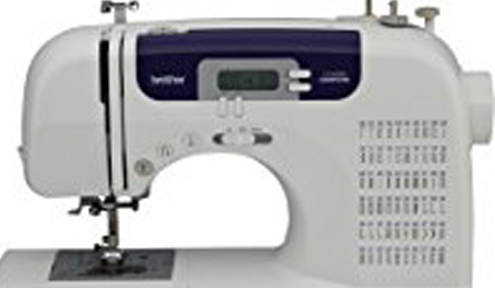 Find out about any extra stitches your machine does. The blindstitch for example—it is not that difficult and once mastered you will never be without it. The machines ability to make buttonholes is one of the fantastic items incorporated into any new machine—but how little it is used. Why? Because of that instinctive fear that says, “I just can’t do it.” If you can’t figure it out, go back to the dealer and let them show you. And while you are there, be sure and try it yourself. How often should you oil your machine. The newer machines should never be oiled. So check the instruction book. Are cams included in the machine? Check that out. There that machine sits—ready and willing to do anything we ask it—if a child is not encouraged to use his/her full potential he will never grow beyond his boundaries. And so it is with the sewing machine. Remember, you can’t get much done by waiting “until tomorrow.” Start today and sew the times of your life with love.